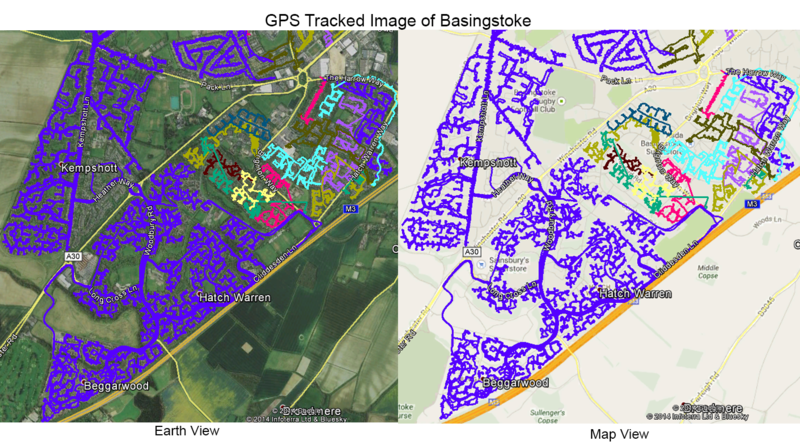 Abracadabra Leaflet Distribution offers reliable GPS tracked leaflet distribution Basingstoke RG21 – RG24. We use the latest GPS tracking technology for all of our leaflet distributions and whether you need us to help you with all or just part of your distribution needs, we will work as a team to help you get the job done in a professional and cost-effective way. Even if you have no idea at all where you want to start with your leaflet delivery campaign, our in-house design team will help you get the most from your direct mail marketing using specialist software and state-of-the art technology. Of course, our exceptional leaflet distribution service wouldn’t be complete without giving you the unique opportunity to get incredibly low prices on your printing! Get a discount on your leaflet delivery when you order both your leaflet printing and distribution from us. To give you added peace of mind, we also take pride in following the code of practice as laid out by the Leaflet Distribution Organisation (LDO). But don’t just take our word for it – see what our clients have to say about us by visiting our testimonials page! We offer a FREE one to one consultation for your flyer distribution campaign. For the best possible return on your investment we offer a DISCOUNT on design, print and distribution package. 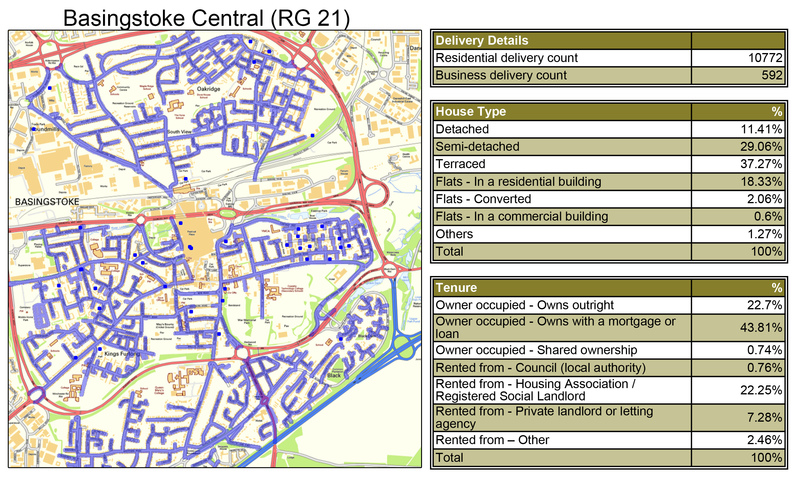 Basingstoke is a large town in north-east Hampshire in south central England. It lies across a valley at the source of the River Loddon and is considered an economic centre. For your direct marketing campaign, Abracadabra Leaflet Distribution Basingstoke can cover the town including RG20 Kingsclere, RG21 Basingstoke Central & South, RG23 Oakley and Winklebury and RG24 Basingstoke North. So promote your business or tap into new clients in this town through our direct marketing solution. With our flyer delivery service attracting a repeat business rate of over 78%, you can’t go wrong with our complete service.